There is a separate page listing my journal articles and chapters in scholarly books. This is the page for my books. This is a book of letters, from two and a half years of correspondence between a Letchworth pacifist and his wife, while he was imprisoned as a Conscientious Objector, and she was finding ways to keep their family of three children healthy, fed and cheerful. This is a remarkable collection of archival letters that depict the reality of life during the war for families who struggled with the basics of survival, as well as looking forward to the bright New Dawn of Labour politics and New Town living after the war was over. This is a collection of essays on Rose Macaulay that I’ve been nursing since 2011, when I ran a one-day seminar on her writing. Three publishers refused to publish the book because she is not well enough known: the CUP rep told me, unkindly, that she was ‘not far enough up the food chain’. Two scholarly journals considered the essays for a special issue and said no. Routledge said yes, and so I herded my weary but faithful contributors to publication in August 2017. I wrote the Introduction; a chapter on her essays, of which I have found around 300 that disappeared from sight after their first publication; and an annotated bibliography on everything known that she published. The more I discover of Macaulay’s writing, the more excited I am about this book. I was writing this book for what seemed like forever: a study of how John Buchan, Dornford Yates and Angela Thirkell wrote their conservatism into their best-selling fiction. Now published, with stunning cover art by Barry Rowe. You can order the book here. I talked about the book, and John Buchan, on the Guardian Books podcast on 14 August 2015. They asked me to write a piece about Tory fiction as well. I edited this book of essays with Christoph Singer from the University of Paderborn, and blogged about it here: you can buy it here. The book is about how popular fiction was sold and marketed to elite and ordinary readerships: here’s the official blurb. 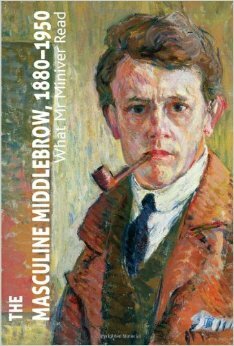 I was the general editor of this large project to reprint six novels published in or around the Edwardian period, that use the speculative mode to tackle political questions of the day. Each novel is annotated, and each volume includes essays about the political and publishing contexts. Richard J Bleiler edited volume 1, The Empire of the Future, which reprinted Samuel Barton’s The Battle of the Swash (1888, in which America is invaded) and Robert William Cole’s The Struggle for Empire: A Story of the Year 2236 (1900, a space opera). I edited volume 2, Fictions of a Feminist Future, which reprinted Allan Reeth’s Legions of the Dawn (1908, in which a gynocracy is established in colonial East Africa) and Una L Silberrad’s The Affairs of John Bolsover (1911, in which the Prime Minister of the future has a feminist secret). Stephen Donovan edited volume 3, Speculative Fiction and Imperialism in Africa, which contained Joseph Conrad and Ford Madox Hueffer’s The Inheritors (1901, in which a being from the future manipulates the European economy) and John Buchan’s A Lodge in the Wilderness (1906, a Rhodesian post-colonial utopia). This edited collection of essays came from Nathan Waddell’s idea that we run a conference about Buchan. It’s the first time Buchan has been written about as a writer of modernity: not a modernist, but a fellow traveller. Topics covered include: Scottish fiction, T H Green’s philosophy, Lord Milner, Rhodesia, T E Lawrence, masculinity, information culture, landscapes of modernity, psychoanalysis, myth in modernism, pulp fiction, heritage awareness, Buchan’s poetry, and Canadian politics. This too originated in a conference, which in turn originated in a train conversation with Nicola Humble on why the masculine writers and readers of the then predominantly feminine middlebrow research scene had been so neglected. Topics covered include: Victorian anthologies, George Gissing, J B Priestley, Arnold Bennett, the newspapers and the Boer War, Sherlock Holmes, men avoiding women, disability and masculinity, interwar essayists, Australian and New Zealand middlebrow, political middlebrow and the Second World War. I decided that world needed a collection of essays on Buchan by serious scholars. If I hadn’t had a career in academic publishing behind me I doubt that I would have taken this on so soon in my second career as an English lecturer, but, once an editor, always an editor. Topics covered include: Calvinism, the Classics, Englishness, sport & masculinity, South African identity, the Boer Wars, the First World War, pacifism, North American relations, Islam, business, plagiarising Conrad, Buchan’s women, the language of suspense, the supernatural, ecological anarchy, and the films of The Thirty-Nine Steps. This was my first book, commissioned as a cross between an encyclopaedia and a roadmap for individual thriller authors. This is ‘thriller’ in the American sense (American publisher, American readership) so for British readers, ‘detective novel’ is part of that definition. 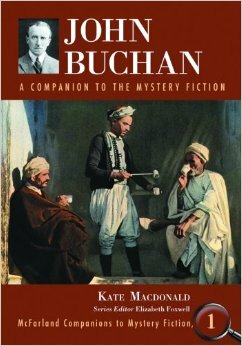 Because Buchan is mainly known as a thriller writer in the USA due to our brainwashing by Alfred Hitchcock’s film, I made sure that my book used the opportunity to pack in everything else I had to say about Buchan’s fiction. You can read a nice review of it here by Breen in Mystery Scene.